This post dated trip report covers a trip that occurred prior to the creation of this blog. Since I am writing this back in the future some details and photos may be more sparse than usual for this blog. This post is designed to serve as a place holder until I can get back out to hike these peaks again! I did this hike originally with my good friend Stav, and as always I would recommend checking out his blog as well! We started the hike bright and early from the Elk Lake trailhead. Parking is extremely limited at this lot so I would highly recommend getting there extra early to ensure your spot. Unless anything has changed recently there is no parking allowed along the road leading to the parking lot so if you can’t fit in the lot you take the risk of getting ticketed or towed. 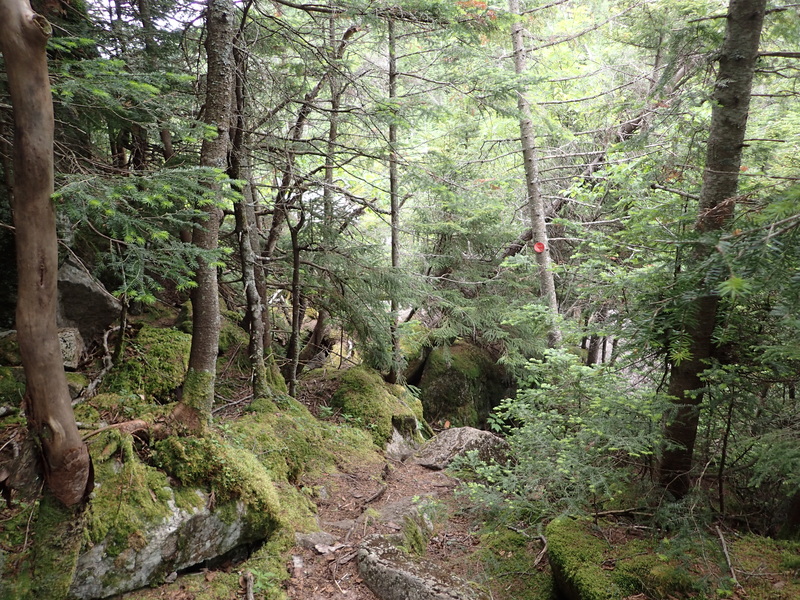 The hike starts on a fairly easy 2.3 mile section of trail from the parking lot to the Slide Brook Lean-to. 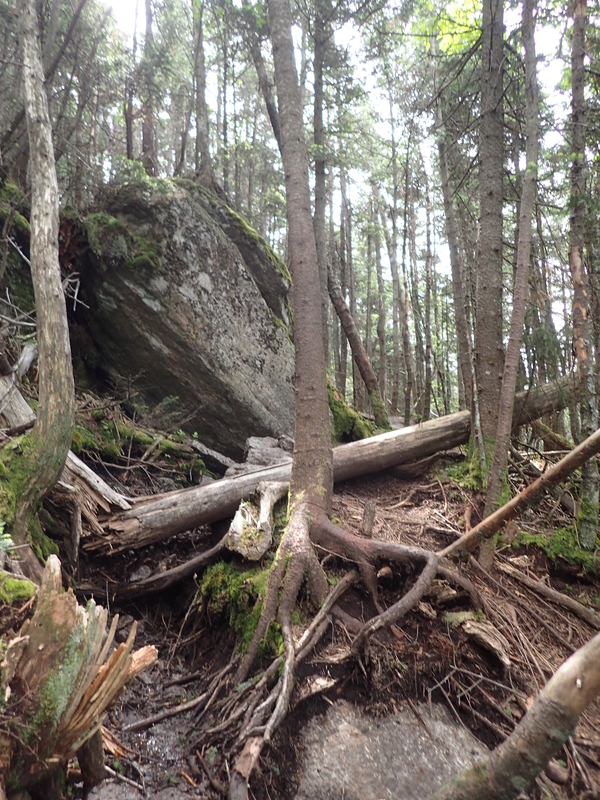 This section is fairly flat but was also very wet and rocky on this particular day. 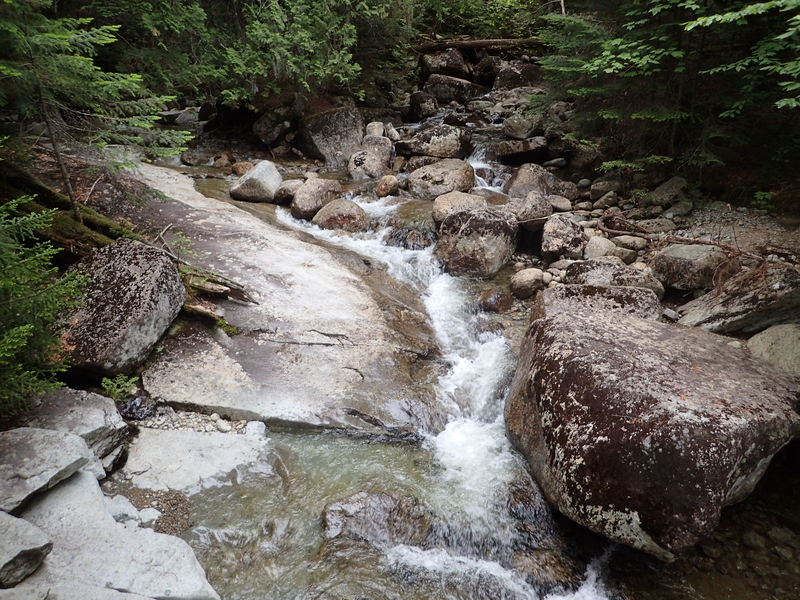 We moved as quick as we could through the mud and wet sections and before too long reached the Slide Brook Lean-to site. We originally thought the herd path would be easy to find from here up to the Macomb Slide but we actually ended up walking right past it. Then we spoke to some others camping near by and were informed that the herd path was actually behind the marked camp sites near the Lean-to. We made our way back to where the campsites were and easily found the trail behind all of the tents. From here another fairly short uphill section through narrow trail placed us at the base of the Macomb Slide. 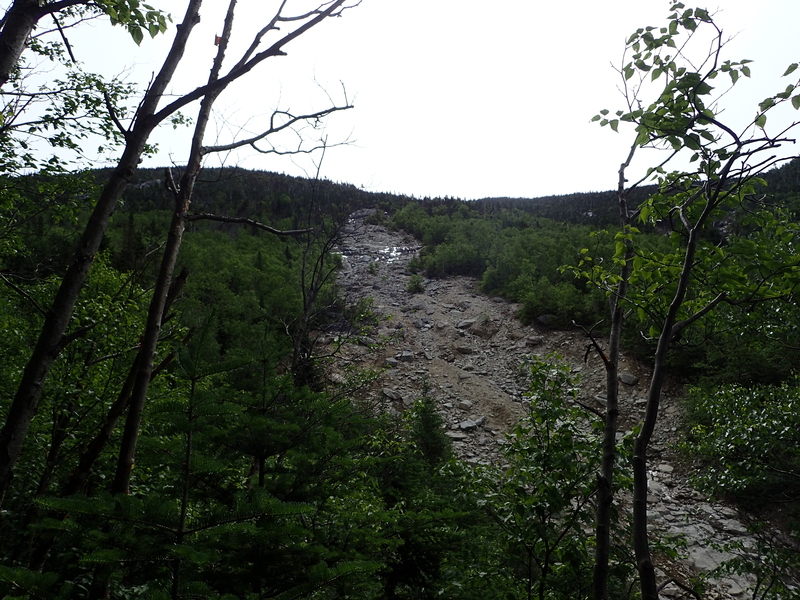 Looking up at the Macomb Slide from near the base. Once we reached the base of the slide we wasted no time shooting right up it. 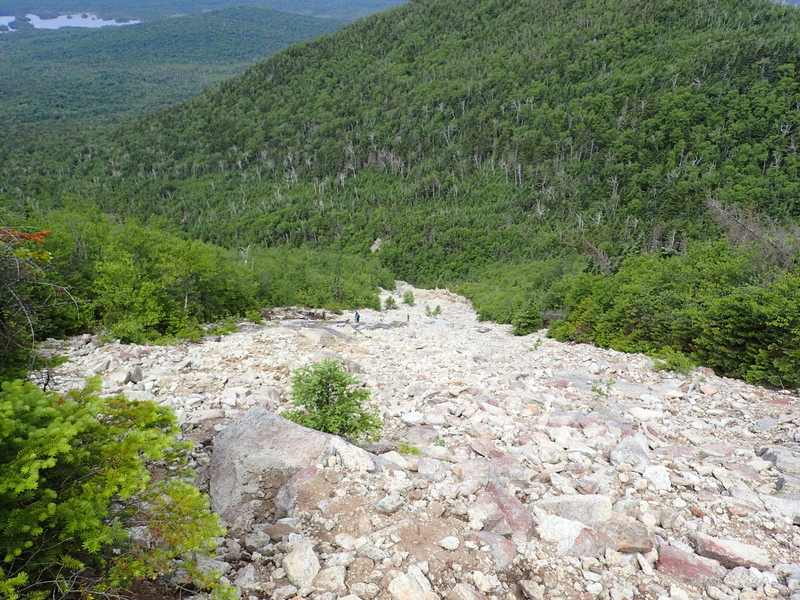 The slide is mostly composed of loose scree, large rocks, and small slabby outcrops. It is steep and a lot of the footing is loose but it is otherwise not too technically challenging. All you need to do is follow the path of least resistance and keep heading up until you reach the natural choke point at the top of the slide. Photo looking back down the slide. Looking back off the slide towards Elk Lake. Once at the top of the slide the trail was narrow and rugged as we worked our way up towards the summit of Macomb Mountain. 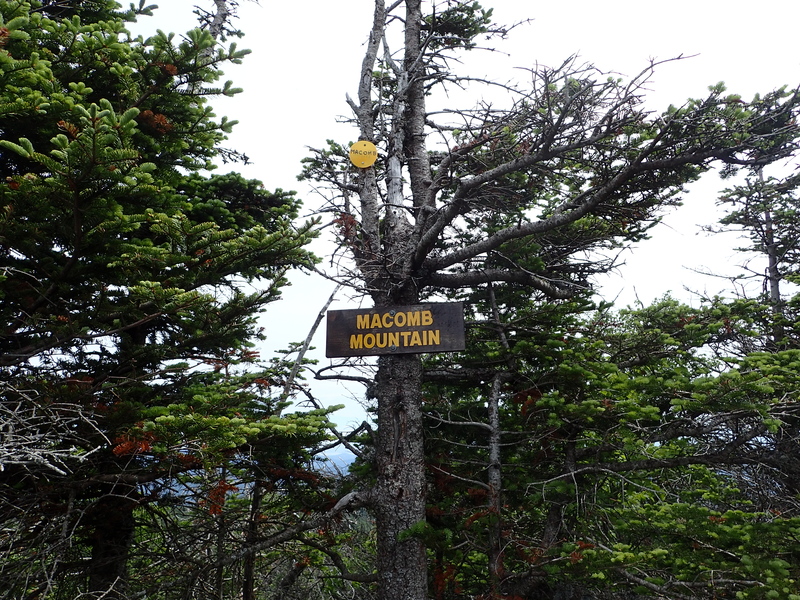 It wasn’t very long after getting past the slide that we reached the marked summit of Macomb which is completely wooded and did not offer much of any views. Trail near the top of the Macomb slide as you head towards the summit. Summit marker on Macomb Mountain. We didn’t linger long on the summit of Macomb before heading out towards the summit of South Dix. I should note here that from the Macomb Slide onward in you are only following unmarked herd paths all the way until reaching the summit of Dix Mountain. However, despite these trails being unmarked they are still well worn and as long as your paying attention you should have no problem finding your way. Just follow the path of least resistance and make sure you are heading in the right direction. A map and compass are always helpful but are in my opinion probably not needed. 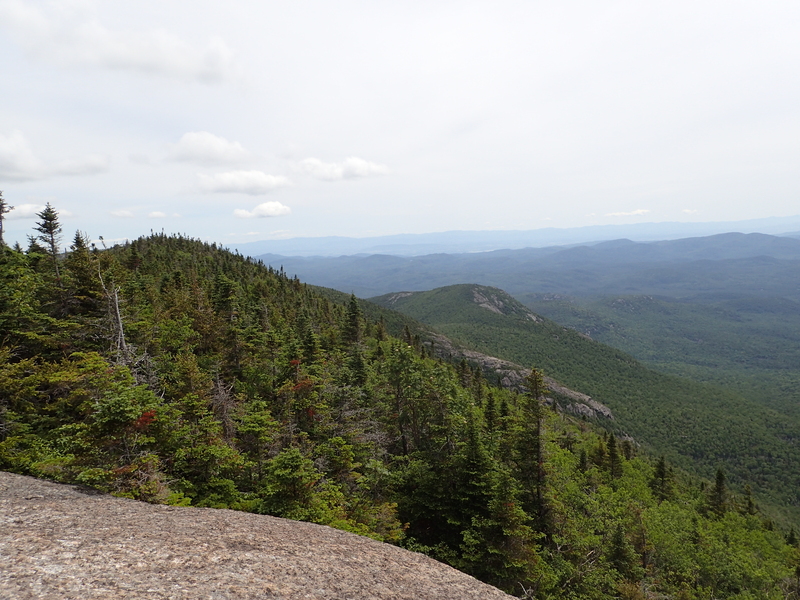 The hike over to South Dix (Carson Peak) was fairly straight forward and before too long we reached the open ledges on the way up towards the true summit which offer great views of the surrounding area. The true summit is actually on a small ledge that faces south but in my opinion does not offer as nice of views as the approach trail does. Rocky section as you work your way up to South Dix. 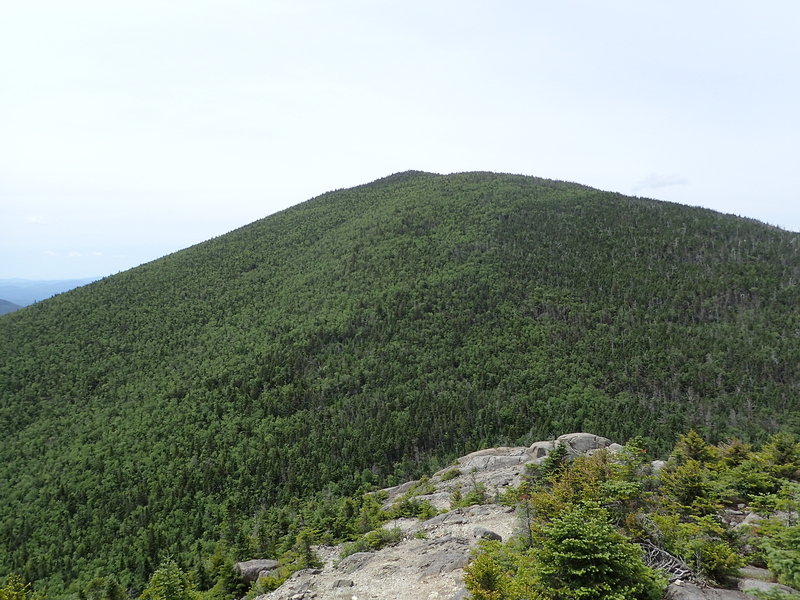 The actual summit is wooded and a small tree has markings on it to let you know you reached it. 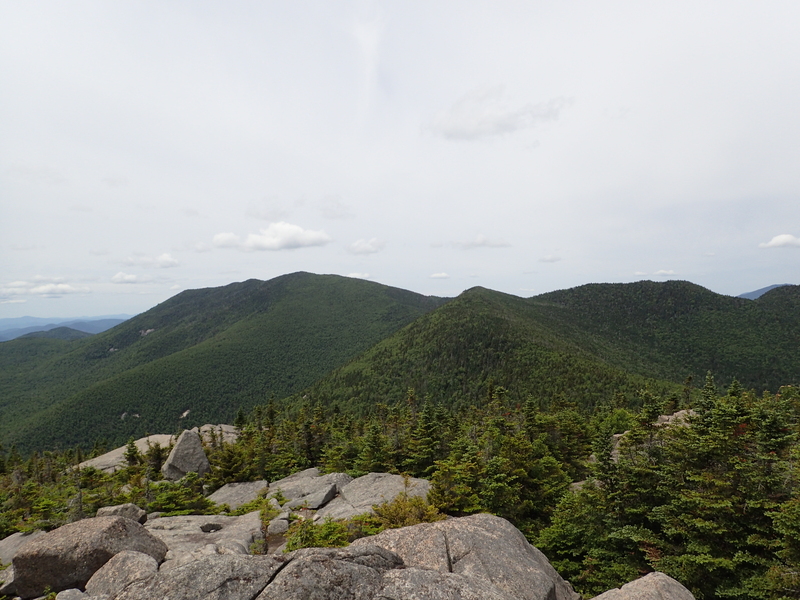 Looking back towards the summit of Macomb Mountain. Looking towards Grace Peak (East Dix) in the distance. From here we headed back down the herd path towards Grace Peak (East Dix). The herd path was fairly short and easy to follow all the way to the rocky outcrop and boulder that make up the summit of Grace Peak (East Dix). From here you have more great views of the surrounding area on a mostly clear summit. 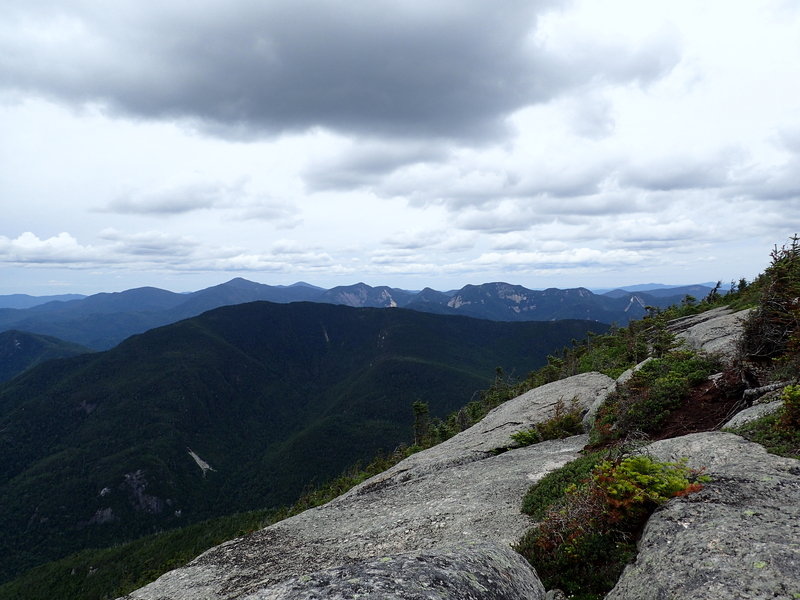 Looking back towards the Dix range from near the summit of Grace Peak (East Dix). After hanging out on the summit for a few minutes we headed back out towards South Dix (Carson Peak) in order to take the herd path on our right towards Hough Peak. Looking towards Hough Peak and Dix in the distance. From here the herd path got a bit more rugged and narrow as it worked its way through the rugged col between South Dix and Hough Peak. 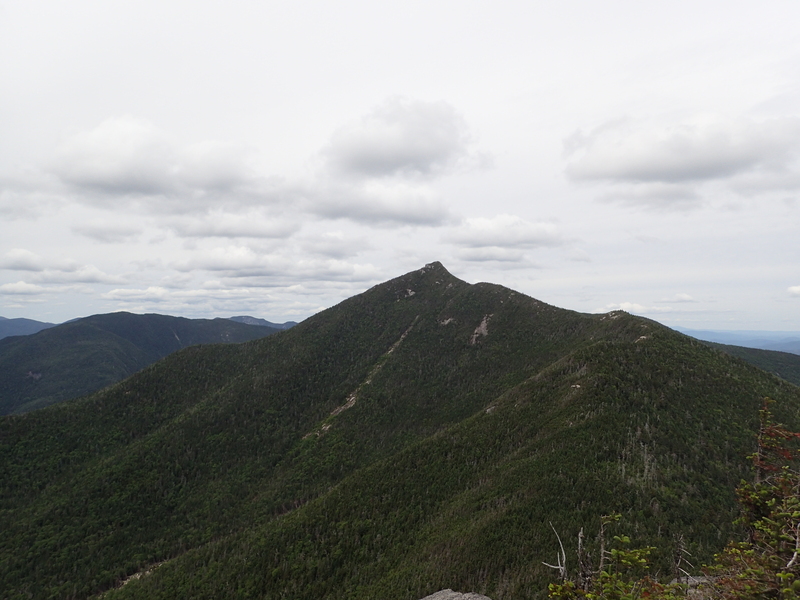 As we got close to the summit of Hough Peak there was even a short scramble up a mostly vertical section of rock which was a pretty fun feature for a Adirondack High Peak. Short rock scramble headed up to Hough Peak. The summit of Hough Peak is fairly small but near the summit we were able to get nice views of all the terrain we had already covered as well as a good view of the hike over to the summit of Dix Mountain. 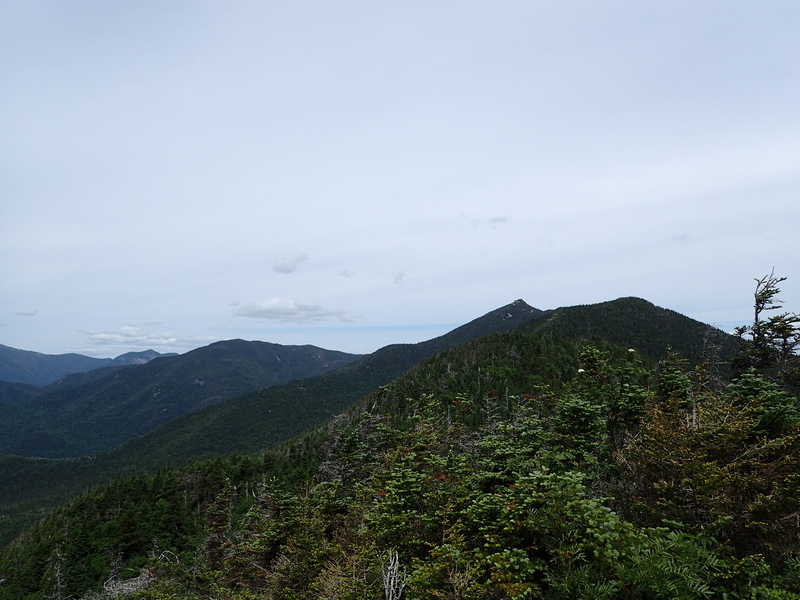 Looking back from Hough towards South Dix and Macomb Mountain. Looking out towards the Beckhorn and Dix Mountain. 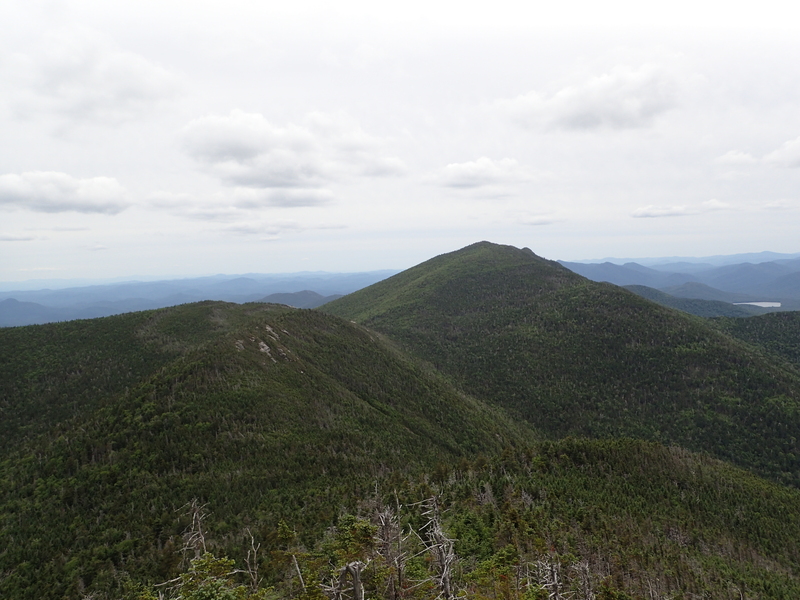 After enjoying the view from Hough Peak we made our way towards the Beckhorn which is the small hump that can be seen before making your way up and over to the summit of Dix Mountain. If all you are looking to hike is Dix, there is a marked trail that leads up from Elk Lake and over the Beckhorn to the summit. Looking out over the Beckhorn. 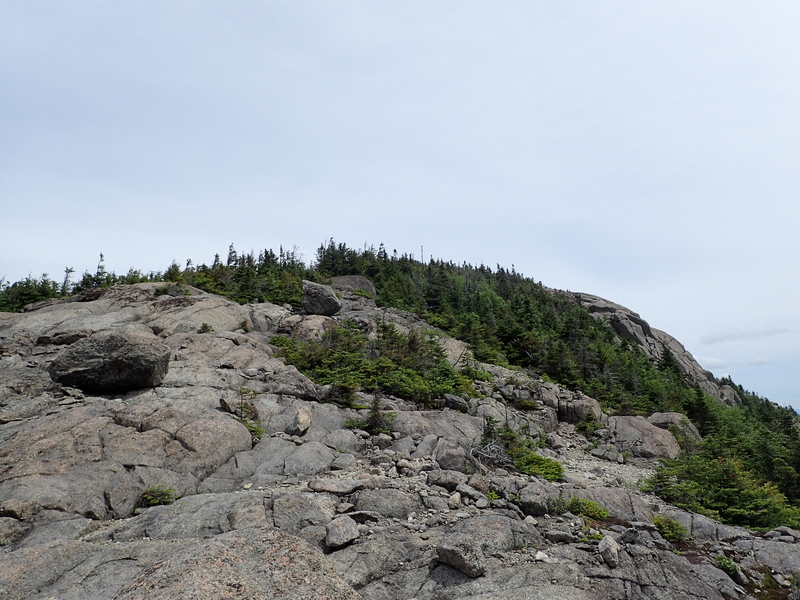 Before too long we reached the open and narrow ridge which forms the summit of Dix Mountain. 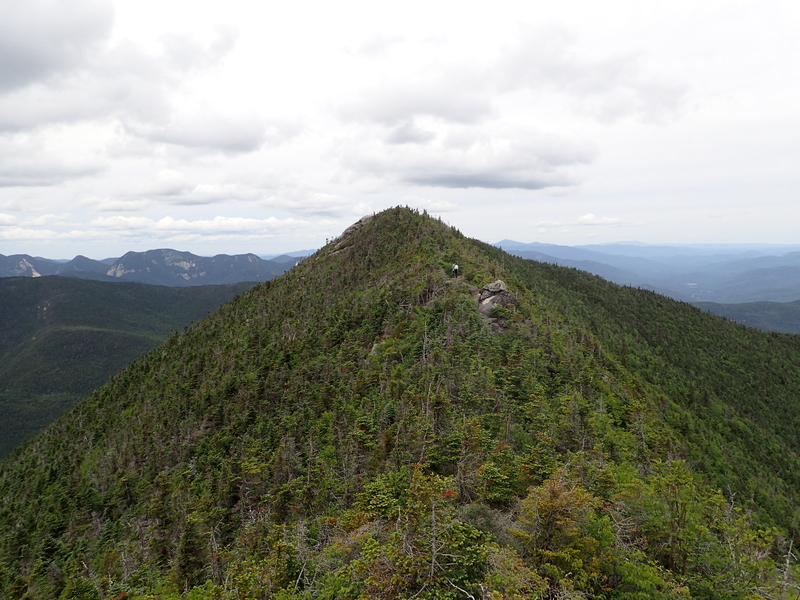 This is one of my favorite summits in the area as it offers amazing views of the surrounding area and is also quite interesting and unique because of its narrow formation and location. 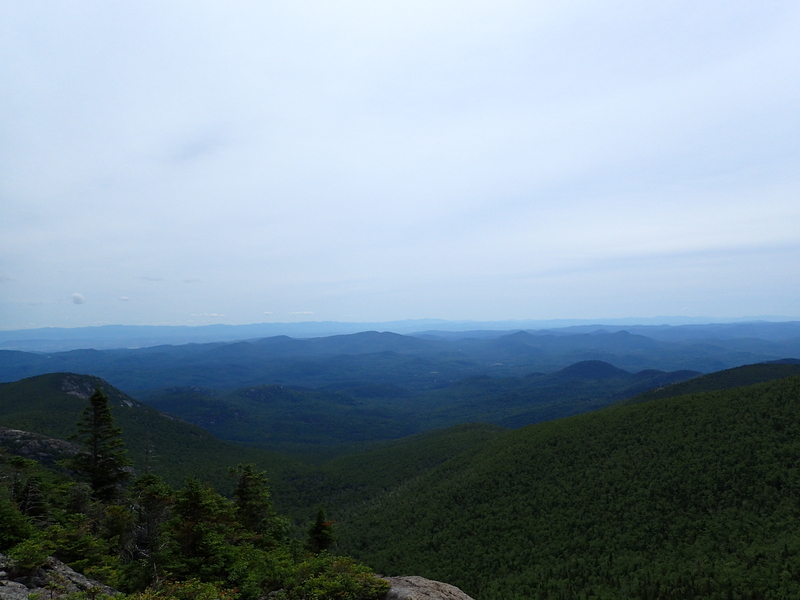 View from the summit of Dix mountain towards the Great Range. 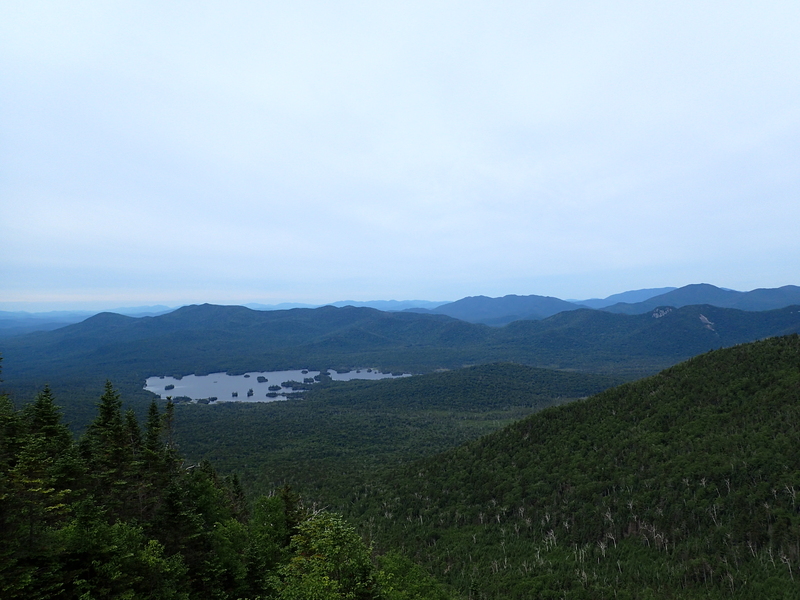 Looking out towards Elk Lake from the summit of Dix. Another view from the summit. 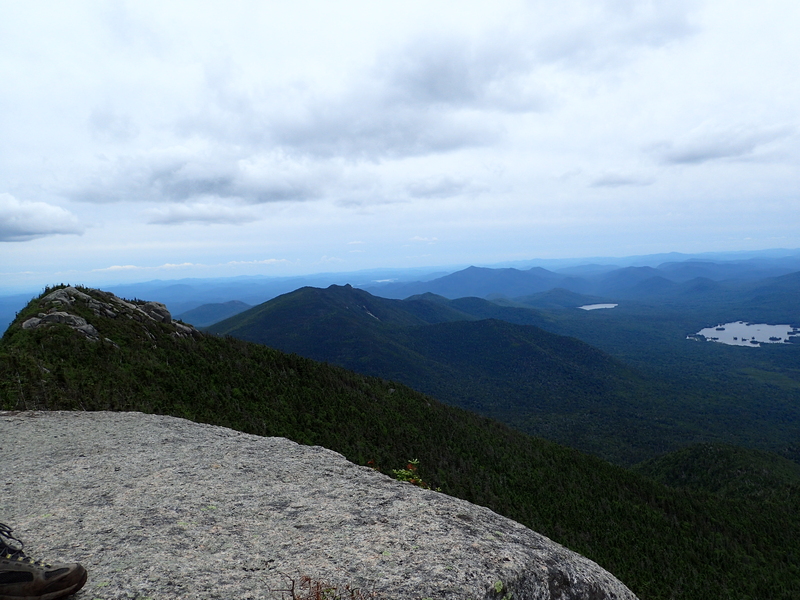 We enjoyed the view from the summit for a short time before heading back down the trail on the way out. We decided to hike back down via Hunters Pass instead of going down the Beckhorn trail. 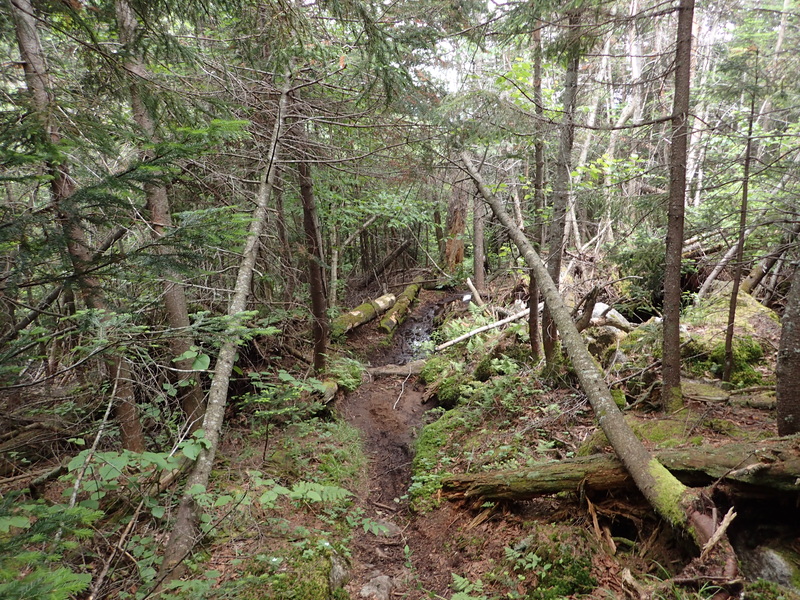 Hunters Pass is a fairly rugged trail through muddy terrain but it is otherwise quite scenic and fun. 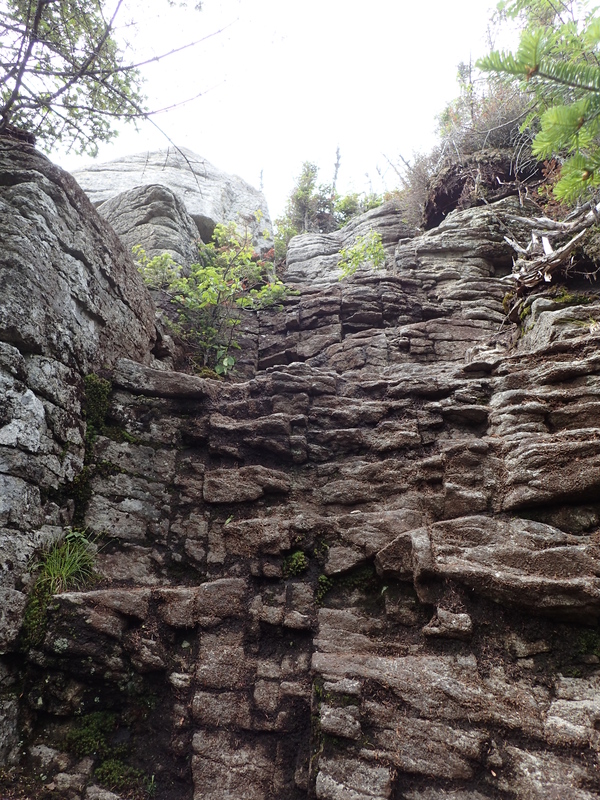 The cliffs on either side of the narrow pass make it a pretty interesting trail. View of the trail in Hunters Pass. Another view of the trail. The hike through Hunters Pass didn’t take incredibly long and before too long we were crossing the brook and back on our way down the final stretch towards Elk Lake. The hike out from here was fairly uneventful and honestly fairly boring but we made quick time of it. 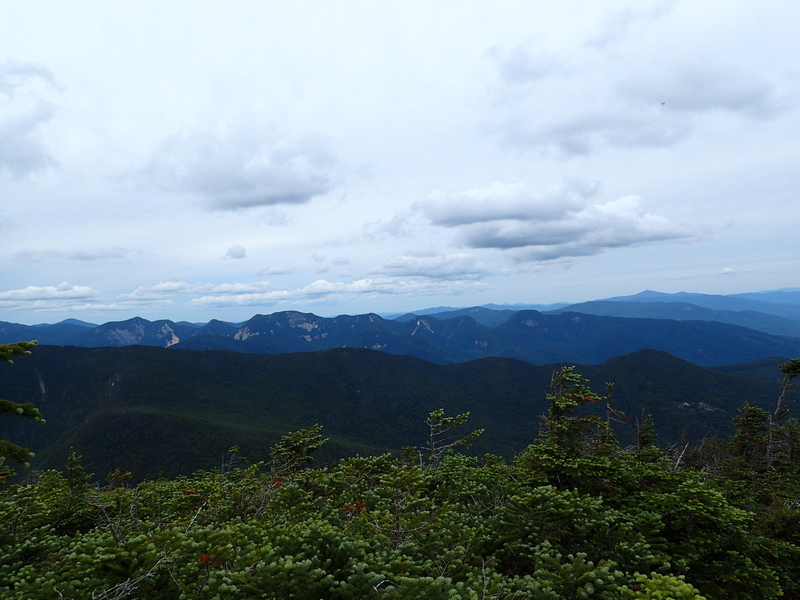 Overall the hike of the Dix range was a really good one and the views from the summit of Dix are some of my favorites. I hope to be back again this winter to do it again, but this time with even more fun winter conditions! Was this this year, 6-27-16, not 6-27-15? Hey Kimball. Yes it was from 2015 just before I started the blog.